I ended a ten month drought tonight. Ten. Long. Lonely. Months. I haven’t stopped smiling since. Pizza. For the first time since October 2011. 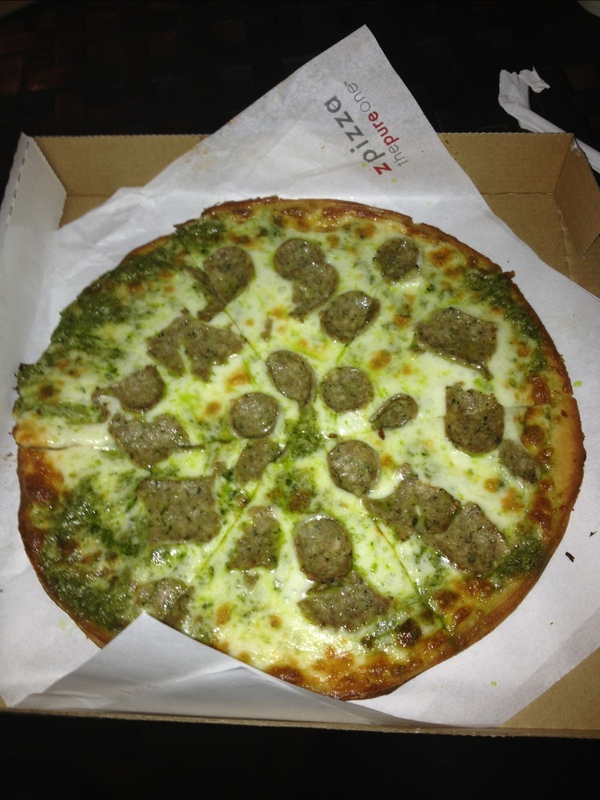 Pizza with pesto, mozzarella, and chicken sausage. I added Parmesan and dried oregano at the table. Thin, crispy, delicious gluten-free crust served as the base. My God that was so worth it. Shout out to Z Pizza for a completely customized and drool worthy pizza. Rest assured I won’t be holding out for another ten months. And now I think I may need a cigarette.